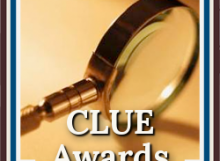 Congratulations to the CLUE Book Awards 2018 Semi-Finalists! Each one of these is a page-turner! Good luck to all in this highly competitive division!